In addition, the newest theatre will boast a number of new offerings for cinema-goers such as Singapore’s first new family hall, the first DTS:X sound capable halls in Singapore, as well as Singapore’s next-generation IMAX hall featuring IMAX with Laser. In total, Shaw Theatres Jewel has 11 screens, comprising of an IMAX theatre, two Lumiere screens, a family-friendly Dreamers screen, and seven regular screens. This is the fourth IMAX theatre in Singapore but the first to feature IMAX with Laser. IMAX with Laser provides audiences with strikingly crystal-clear and vivid images to suspend disbelief when experiencing today's biggest blockbusters. The new system will also feature IMAX's 12-channel sound technology that incorporates new side and overhead channels to deliver greater dynamic range and precision for ultimate audio immersion. 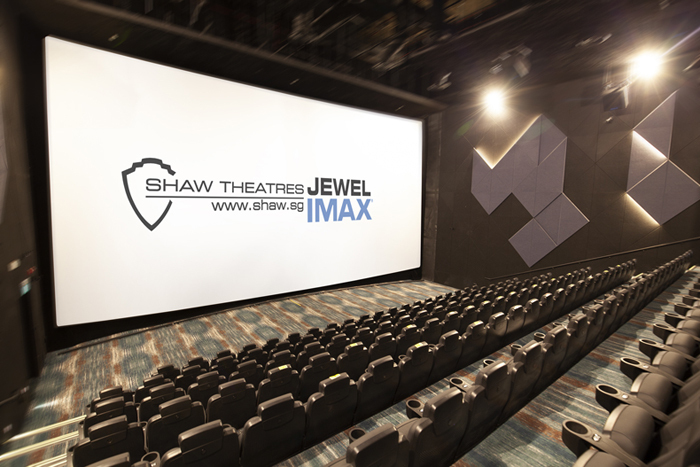 The Shaw Theatres Jewel IMAX with Laser theatre will open on 24 April 2019 with Marvel Studios’ Avengers: Endgame, which was filmed entirely with IMAX Cameras. For families with young children, this is the hall dedicated to you, and to the young at heart. 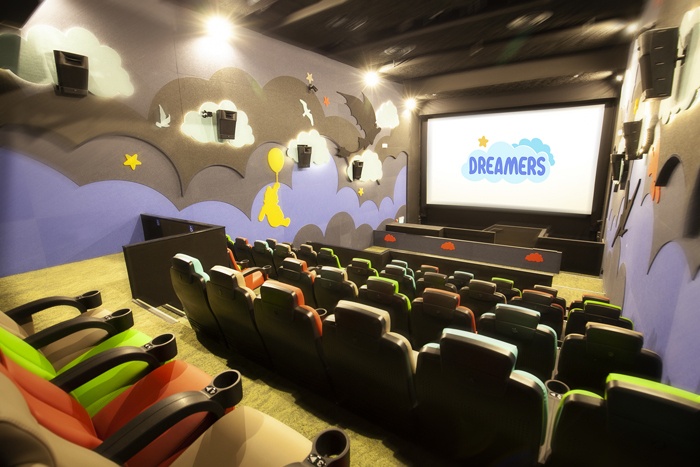 Dreamers is not only child-friendly, but the space is also filled with colourful seats, complete with an open space at the front where bean bags for kids are being placed as well. During such screenings, a more conducive movie-going environment is created for children – with reduced brightness and volume, soft lighting inside the halls, and all patrons are primed to expect babies and running toddlers. 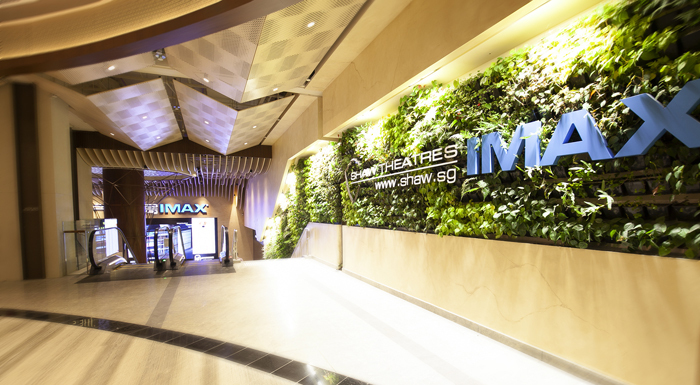 Shaw will screen kids and family-friendly movies throughout the year and will open on 24 April 2019. 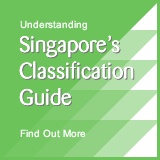 There are two Lumber halls, each with a capacity of just 26 seats, arranged largely in a 2-3-2 configuration. The luxurious Figueras seating is roomy, can be reclined 42 degrees, and comes with an ergonomically shaped backrest cushion, a turntable and USB charging ports. A regular hall of the same size will have around 80 seats, and in comparison, Lumiere offers a much more intimate movie-watching environment and yet it has the latest DTS:X sound system, and the armrest can be folded up for the twin seats to form love seats. 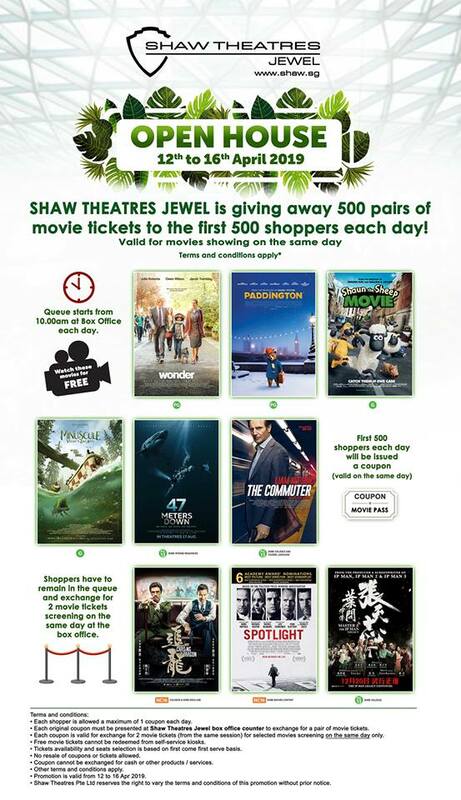 500 pairs of movie tickets will be up for grabs for the first 500 Jewel shoppers each day. Free treats daily for the first 200 redemptions each day from 17-23 April with every 2 tickets purchased. A special promotional rate to book the new Lumiere halls - $15 (U.P. $18) off-peak and $20 (U.P. $23) peak for 2D tickets; and $18 (usual price $21) off-peak and $23.00 (usual price $26) peak for 3D tickets. Watch Your Favourite Films in Shaw Theatres IMAX and Stand to Win A Trip to LA! 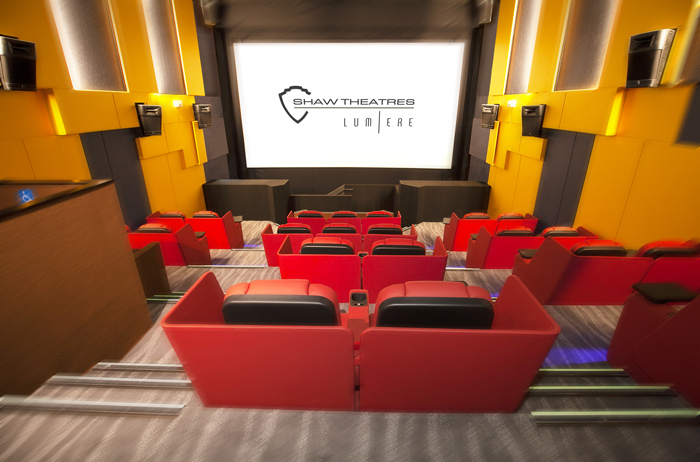 New Shaw Theatres opens at Waterway Point, Punggol!